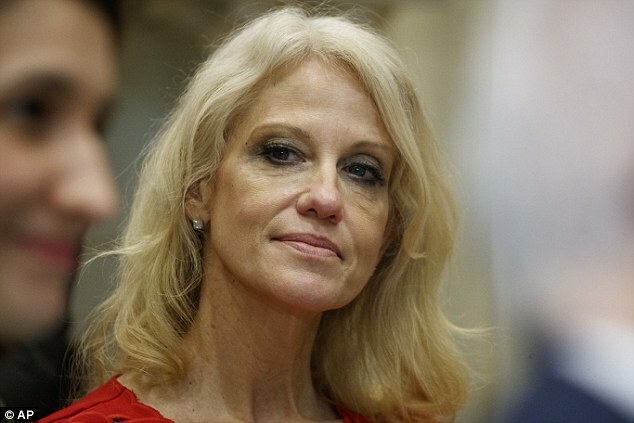 Social media was flooded on Tuesday night with claims Donald Trump had turned his back on Kellyanne Conway - at least when it came to social media. Thousands were quick to trumpet that Trump had unfollowed his counselor on Twitter from his personal account, while the official @POTUS and @WhiteHouse accounts did the same. 'Oh. Wow. Donald has unfollowed Kellyanne Conway. There are so many plot twists. It must be near the climax,' author Matt Haig wrote.